The Diversity Leadership Program fellowship is named after the late, Dori J. Maynard. She was a longtime champion of diversity in journalism. She was a board member of SPJs foundation starting in 1999. In 2001, she was named a Fellow of the Society. The award recognizes outstanding contributions in journalism. Maynard was well-known for tirelessly working to ensure diversity in the newsroom. She challenged the news media to look at themselves and what she called distorted coverage of communities of color when covering Americas ongoing racial struggles and what it does to the country. Dori Maynard came from a family of journalists. Her father, Robert C. Maynard was the former owner of the Oakland Tribune and the first African-American man to own a major US newspaper. He his wife, Nancy Hicks Maynard also founded the Robert C. Maynard Institute for Journalism Education (MIJE) in 1978. Dori and her father were Nieman scholars at Harvard University. Her career included working at the Detroit Free Press, the Bakersfield Californian and The Patriot Ledger in Quincy, Mass. 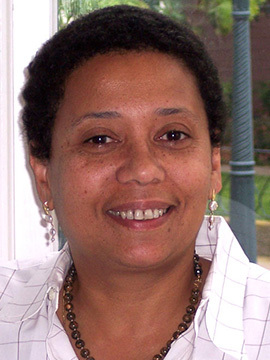 Dori Maynard served as the Maynard Institutes president from 2002 until her passing in February, 2015. Diversity and inclusion in newsrooms is important to SPJ. We aim through the Dori Maynard Diversity Leadership Program to open minds and open doors in newsrooms around the country. Through our diversity program, six SPJ members will get to attend this years Excellence in Journalism conference on a scholarships. This program is funded by the SPJ Foundation. The Dori Maynard Diversity Leadership program gives fellows the opportunity to see first hand how SPJ works and what it has to offer. The SPJ Diversity Leadership Fellows are provided with a complimentary conference registration and paid travel to EIJ. At the conference, the fellows will be exposed to several networking events where they get to know each other, and meet SPJ board members, administrators and other leaders in the world of journalism. The fellows will get attend journalism panels and workshops of their choice and they will also be welcomed to attend SPJ board and business meetings. The program will expose the fellows to guest speakers who will cover topics about the importance about diversity and inclusion inside and outside the newsroom. Speakers will also cover various topics that may be trending in journalism today. Fellows will be asked to share their experiences at the EIJ conference via short essays, photos and videos that will be posted on the SPJ Diversity Facebook and Twitter platforms using the hashtag #SPJDiversity. The SPJ Diversity Fellowship gives participants the chance to establish a relationship with SPJ, and they are encouraged to continue as members with the national organization. We also encourage the fellows to get involved with their local SPJ chapter. – Four-night stay at the conference hotel (The Grand Hyatt San Antonio). – Airfare to and from San Antonio (up to $300). – One ticket to the SPJ Presidents Installation Banquet on Saturday night. – Fellows will arrive to the conference on Wednesday, Sept 4, 2019 (travel day) and depart Sunday, Sept. 8, 2019. – At least two years of professional experience in journalism. – Must be a member of SPJ. – Must be a person of color, a person with disabilities, part of the LGBTQ or underserved ethnic communities. – Must attend the entire conference and scheduled fellowship events and programs. – Join a local SPJ Chapter and volunteer to be on a local committee after the conference. – Volunteer to be on an SPJ national committee if possible. – Agree to represent SPJ as a Diversity Fellow for the full year (EIJ 2019 - EIJ 2020). – Former fellows are not eligible to apply. Applications are due May 3, 2019 at 11:59 p.m. ET. Fellows will be announced in late June. If you have any questions, please contact SPJ Diversity Chair Rebecca Aguilar.